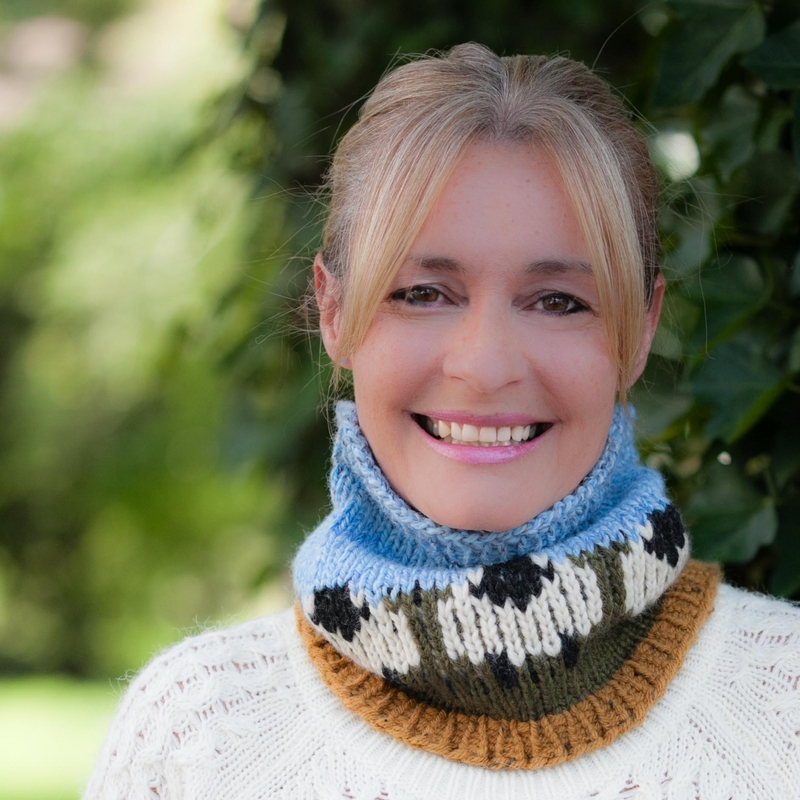 Show your love for all things “sheep & wool” by knitting up this adorable Fair Isle set! With only 12 rows of Fair Isle, it’s a great beginner stranded colorwork project. 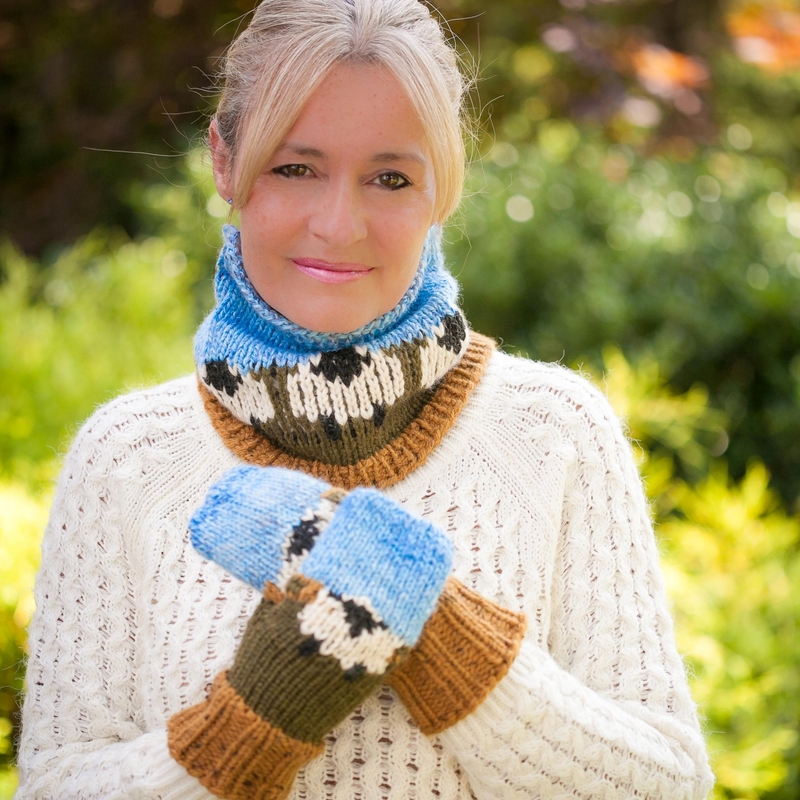 The regular knit and purl stitch is used throughout these patterns with no complicated increasing and decreasing. 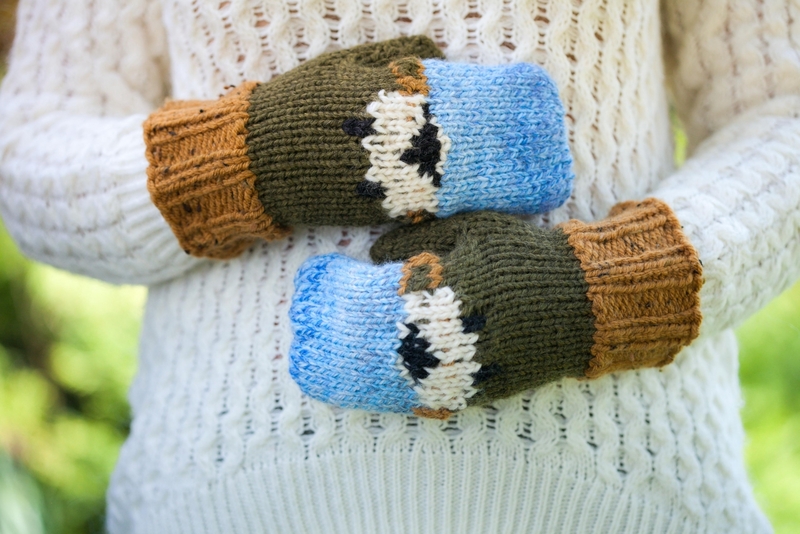 Minor seaming is used on the mitten thumb and top. 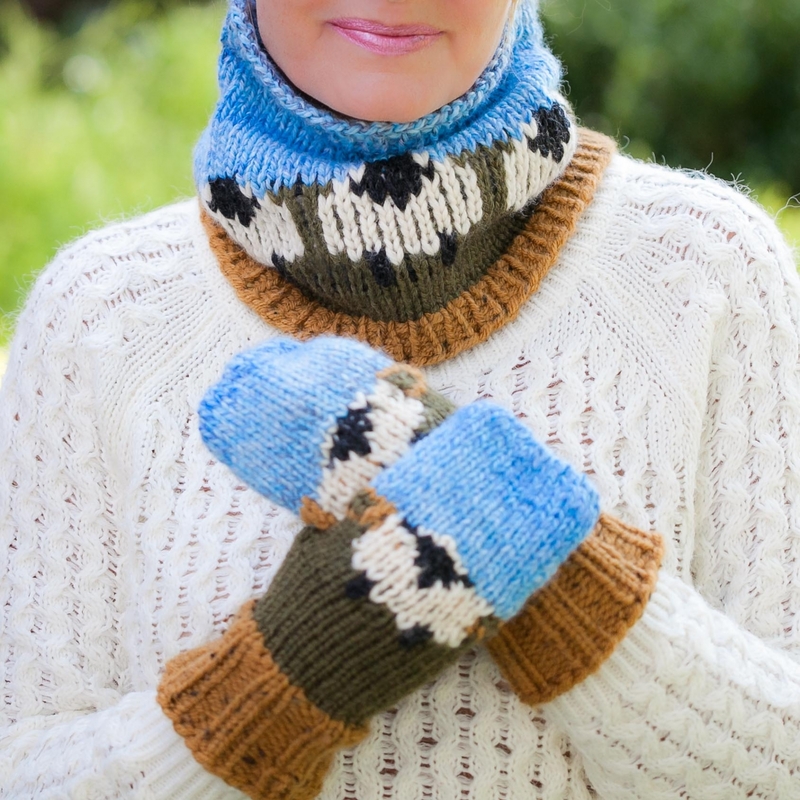 The hat is not pictured but looks exactly like the cowl except with a gathered top. Beginner+. You should be familiar with the regular knit stitch, purl stitch, pattern reading and be ready to try colorwork on the loom. •HAT: Adult/teen; 5/8” peg spacing 48 peg or 56 peg ½” peg spacing loom (CinDWood). Youth 7-12; 50 peg, ½” peg spacing loom (CinDWood), Men’s Lg; 66 peg, ½” peg spacing loom (CinDWood). •COWL: Adult/teen and Youth (7-12): 66 peg, ½” peg spacing loom (CinDWood).